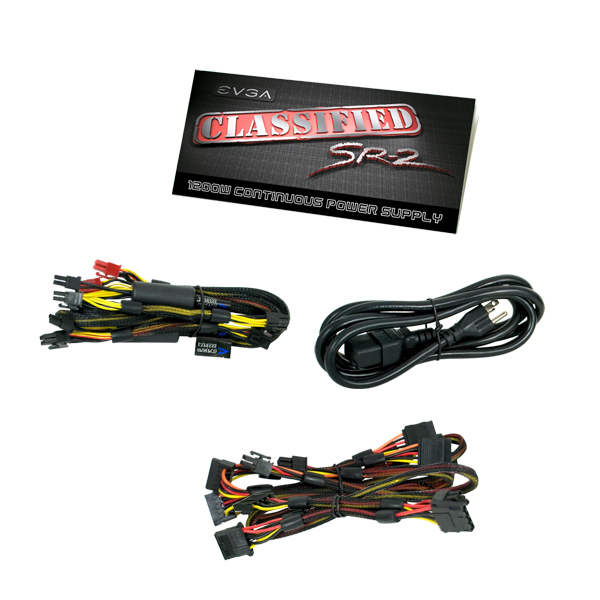 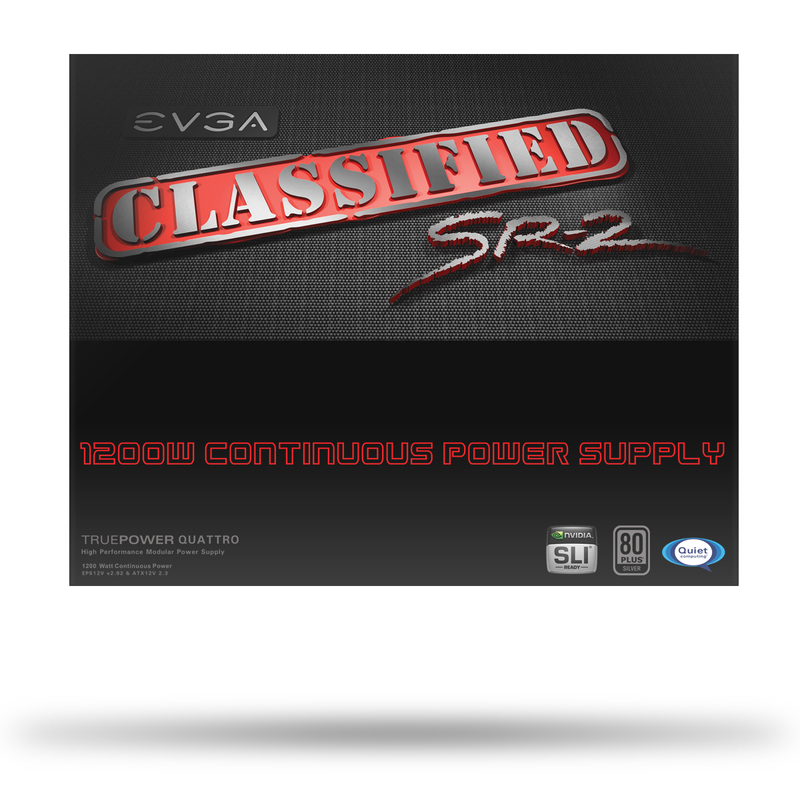 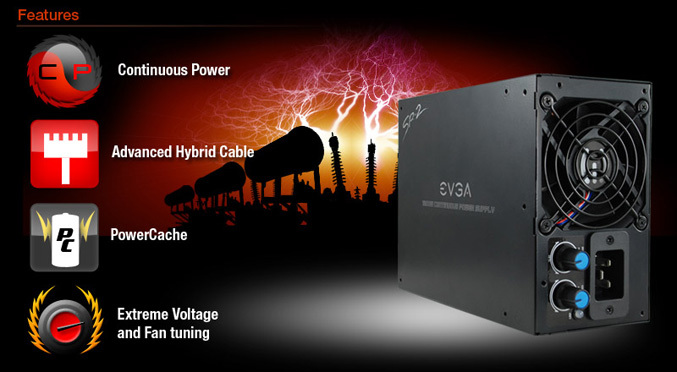 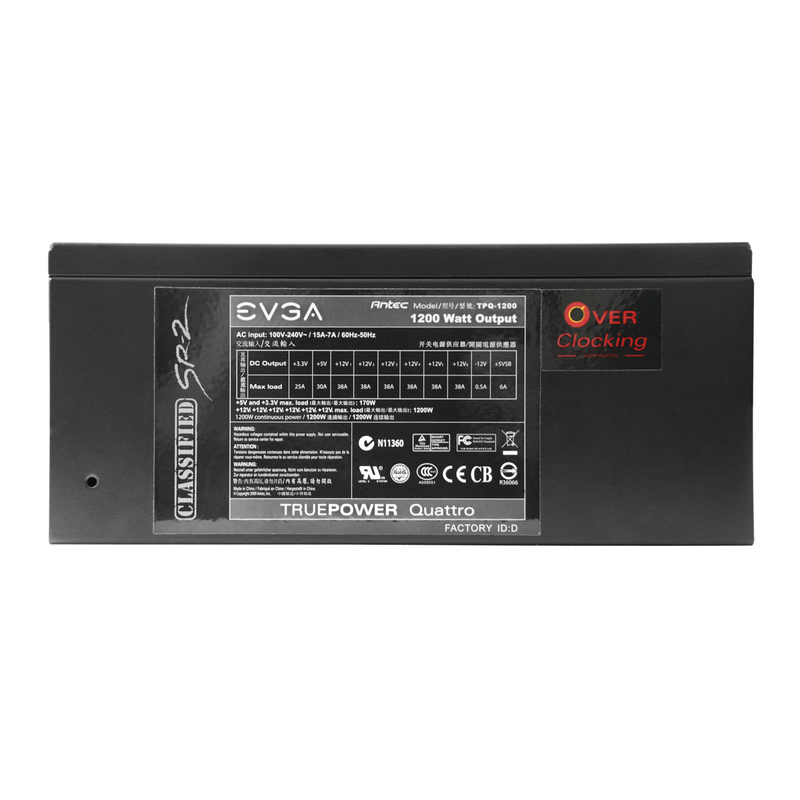 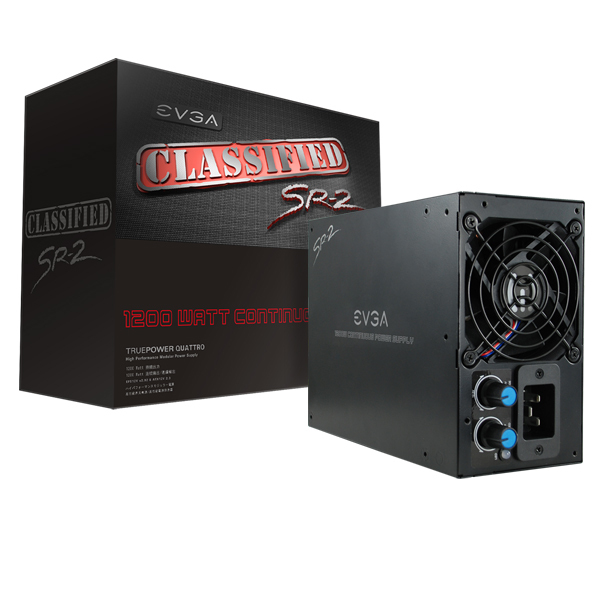 The new EVGA Classified SR-2 Power Supply is capable to delivering 1200 watts for the need of power hungry PC systems. 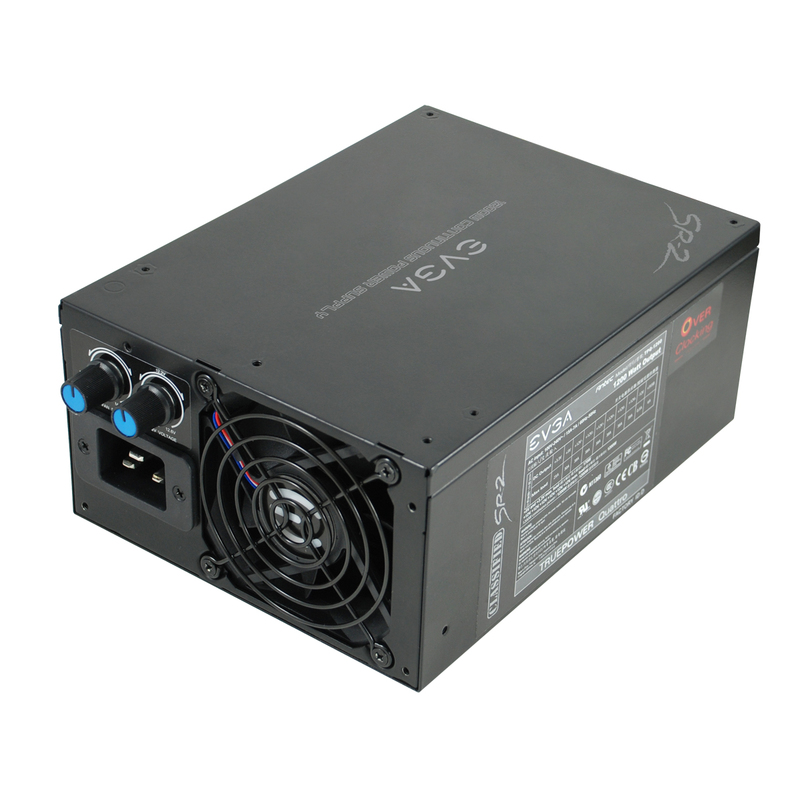 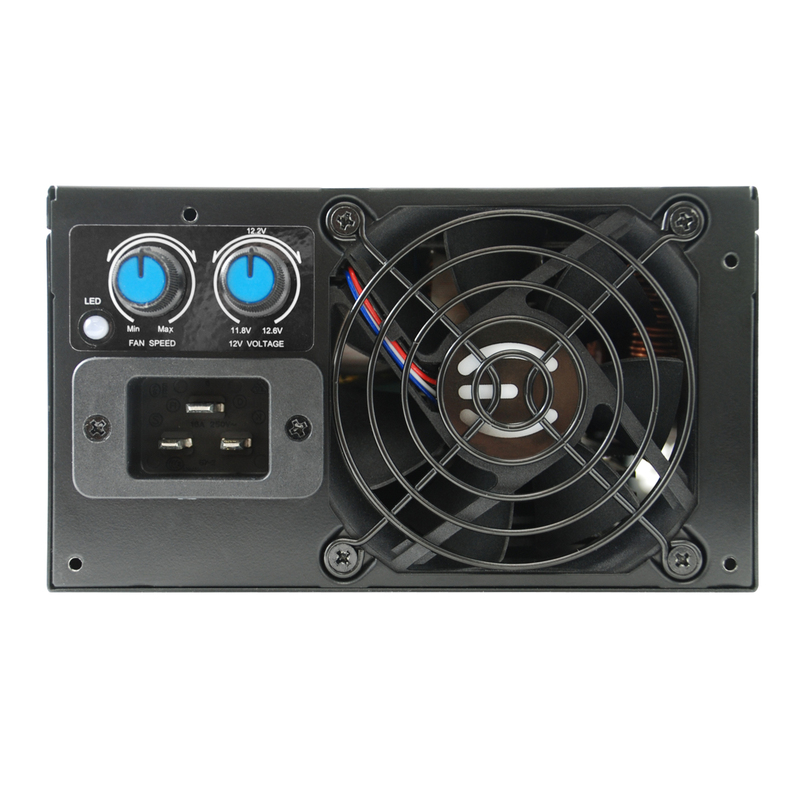 The PSU has modular design, 80 Plus Silver certification and has a fine-tuning knobs, which allow you to adjust the +12v rail and fanspeed to the optimal performance. 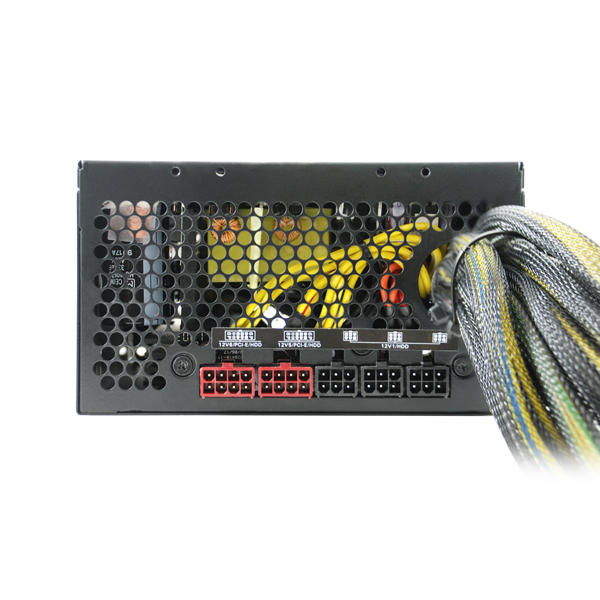 The PSU can output six 12V rails, capable of delivering 38A, an 80mm fan with pulse width modulation for quiet operation, gold plated connectors, feature PowerCache – a high-performance capacitor delivers an extra power reserve when needed, industrial grade protection – Over Voltage Protection, Under Current Protection, Short Circuit Protection, Over Current Protection and Hybrid Cable Management for improved airflow and reduced clutter, as well mentioned two knobs for fine tune of +12v voltage and power supply cooling fan.